November 9, 2015 (Santee) - Anne Frank and Me by Cherie Bennet.is a play about keeping history and memories alive so as not to be forgotten. The question asked in today's world and Ms. Edwards, is how do we motivate students in this short span society to learn things like history? Let me say bravo to Carrin Edwards for finding a way. Ms. Edwards is a teacher at West Hills in Santee, and the director of this profound piece.Kudos also go out to West Hills High administration for encouraging students and rewarding them to support the arts. October 14, 2015 (Julian) – The Julian Triangle Club’s 59th annual October melodrama, “Keeping the Doctor Away” or “Take Two Apples and See Me in the Morning” continues this weekend and next at the historic Julian Town Hall. This year’s director, Sandi Bennett, is cracking the whip over the all-volunteer local cast, who come from all walks of life to put on the traditional Melodrama and raise money for our local charities including scholarships for local students. October 2, 2015 (La Mesa)--Lamplighters Community Theatre in La Mesa continues its current season with a mystery. Stage Fright by Charles Marowitz will run Oct. 9-Nov. 8. A leading metropolitan drama critic is led by an attractive production assistant into a recently discovered 19th century theatre. There, the critic will film a television interview for a documentary on the actor John Wilkes Booth, who once acted on those very boards. The critic, F.F. Charnick, notorious for his venomous reviews, visibly warms to the classy elegance of the British P.A. But no sooner has he downed a glass of wine than he falls drugged and unconscious. January 21, 2015 (La Mesa)--Journey back to the world of 1930s cinema in the play "Louis and Irving, The Movie Moguls." Lamplighter Theatre in La Mesa’s performances continue this week on January 23rd and 25th.. The play portrays the early days of MGM, one of the most successful film studios of all time--all made possible by the two very different, yet passionate, movie moguls Louis B. Mayor and Irving G.Thalberg. September 21, 2014 (San Diego)--What do you get when you cross Neil Simon’s classic 1960s New York comedy “The Odd Couple” with modern day, southern California references and Latino color, characters, innuendo, and ad libs? A surprising and delightful rendition, zestily presented by the Teatro Mascara Magica at San Diego’s Lyceum Theatre. Dave Rivas, co-producer and co-director of the production, is a Spring Valley resident. The theme of the play remains true to the original and is universal: divorced bachelors, slob versus neat freak, in a friendship strained not only by conflicts over living conditions but also the poignancy of loss and change. But the seasoning on this well-known dish of a show is exotic, original, up to date, and hilarious. February 1, 2014 (El Cajon)--The play Annie goes on stage during the weekend of Friday, February 14 and for the following weekend ending February 23. Performed by the Christian Youth Theatre, with such songs as “Tomorrow” and “It’s a Hard-Knock Life,” this production of Annie is appropriate for the whole family. November 13, 2013 (Spring Valley) – Favorite Disney characters will appear at Young Actors’ Theater, 9620 Campo Road in Spring Valley this weekend, where Aladdin Jr., a stage adaption of the Disney hit film, is being staged. April 13, 2013 (La Mesa) – A 76-year tradition returns to La Mesa with the revival of the Lamplighters Community Theatre. On April 25-27, the group will present “Daughters of the Appalachians” in the Lamplighters’ first performance since 2006, when the old theater was torn down to make way for the new La Mesa police station. The theatrical group was founded back in 1937, originally known as the La Mesa Little Theatre. In 1976, the organization became Lamplighters Community Theatre, performing in the Ben Polak Fine Arts Center until its demolition force the limelight to go dark. But now , like a phoenix, the group has found new life—and a new theater is rising in La Mesa, a city which just celebrated its centennial. The new Lamplighters theatrical performances will take place at the La Mesa Village Center, 5915 Severin Drive in La Mesa, at the corner of Severin and Amaya drives. November 11, 2011 (Spring Valley) – Celebrating its 10th year, Young Actors Theatre re-presents the musical that started it all – Oliver! The public is invited to enjoy the classic Charles Dickens’ tale brought to life onstage at the Encore Theatre in Spring Valley. March 22, 2011 (Spring Valley) – Director Jean Isaac calls Ragtime a show that “will get inside your soul.” Drawn to the musical’s epic scale and powerful yet timeless themes, she observes, “It’s a beautiful story to be told," then adds that it's important to tell the story anew in today’s turbulent times. Isaac delivers a moving interpretation, brought to life through often stellar performances by the Young Actors’ Theatre cast. February 26, 2011 (Spring Valley) – Ragtime, the musical that won a Tony Award in 1998 for best musical score on Broadway, will be performed by Young Actors Theatre at the Encore! Theatre in Spring Valley March 17-20 and March 24-27. February 15, 2011 (San Diego) - Symphony of Clouds (Musical Adventures of the Boy Mozart) will be performed at San Diego State University's Don Powell Theatre in showings Feb. 18-27. The program is described on the theatre's website as "a joyful production which incorporates milestones in Mozart's early life and work in stormy 18th-century Europe, inspired by letters, biographies, and the music itself." Mozart's rise to fame as a musical prodigy drives the action, dance, song and humor in this production. February 7, 2011 (El Cajon) – The Grossmont College Theatre Arts Department will present Hamlet by William Shakespeare, directed by Jeannette Thomas. January 26, 2011 (El Cajon)--The Grossmont College Theatre Arts Department will present “Inside the Actor’s Process: Improvisation,” a performance of student actors using improvisational skills, at 7:30 p.m. on Friday and Saturday, Feb. 4 and 5, and at 2 p.m. on Saturday, Feb. 5. Through presentations of scenes and monologues, the show will demonstrate how student actors can develop such improvisational skills as timing, team work and listening. October 8, 2010 (El Cajon) -- The Grossmont College Theatre Arts Department will present Tin, written and directed by Jerry Hager, October 22 & 23 at 7:30 p.m. and October 23 at 2:00 p.m. in the Stagehouse Theatre. All tickets for this event are $6 each. The story, Tin, is based on Hans Christian Andersen’s story The Steadfast Tin Soldier, an adventurous tale in which toys come to life in the shadows of night. October 2, 2010 (El Cajon) -- The Grossmont College Theatre Arts Department will present The Miser, directed by Henry J. Jordan, Oct 7-9 and 13-16 at 7:30 pm and Oct 9 and 16 at 2:00 pm in the Stagehouse Theatre. 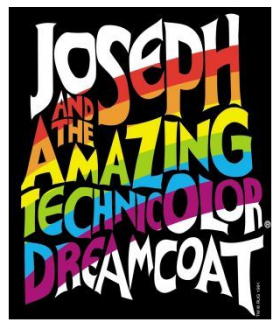 July 5, 2010 (San Diego’s East County) – C. Hook Theater will present Joseph & The Amazing Technicolor Dreamcoat July 7-10. C. Hook Theater productions are held at the Performing Arts Center at The Salvation Army Ray & Joan Kroc Community Center, 6845 University Avenue in San Diego (one block west of 70th Street).